The age-old question in the HVAC industry is when should you repair and when should you replace? There are some situations where the answer is obvious, but in many cases it’s a much more blurry picture. In this article we’ll try and shed some light on the subject so you can make the right decision for your home. Let’s start by reviewing some factors that are important to consider when evaluating your decision to replace your HVAC system. Initial Quality: The bottom line is that some manufacturers provide higher quality than others. Cheaper units tend to be made with cheaper parts. Proper Maintenance: Poor maintenance means your system has to work harder than it should. Heating and cooling systems are machines with mechanical systems. There are motors, belts, coils, refrigerant, thermostats, computer boards, filters, and electrical components. They require regular maintenance and testing to ensure small problems don’t lead to bigger problems. Well-maintained equipment is more efficient and lasts longer. More information about all these factors can be found in our article about Installation Considerations. If your system has been fixed several times in the past couple years, you are suffering from severe reliability problems. While your system can almost certainly be fixed each time it fails, the cost to do so may become more expensive than replacement. The bottom line is to be able to really trust the experience of your contractors. They can share with you what they see in terms of the overall health of your unit. Is it just one part, or is the whole thing shot? Don’t just take their word for it. They should be willing to show you what they are seeing and share information openly with you. What are the reasons to believe the system is shot? You should expect your contractors to share their justifications and to show you exactly what shape your system is in. This stuff isn’t rocket science. It’s a mechanical system. Good contractors should be able to explain it to you in a way that makes sense. 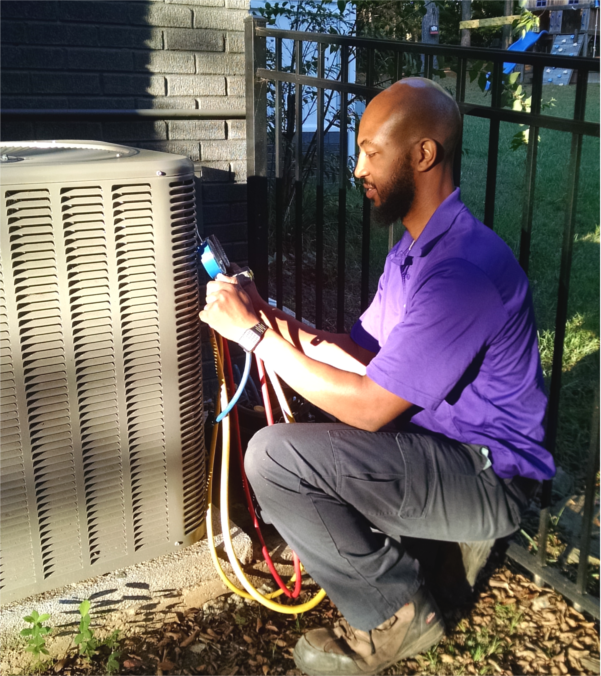 HVAC systems are not simply the mechanical components that people often think about. The components that contribute to keeping your home comfortable are the thermostat, ductwork, and insulation (including good seals around all doors and windows). Make sure you address these issues at the same time as any problems you are having with your system. While very old systems can continue running for decades, they are not nearly as efficient as modern ones. The government continually pushes manufacturers to create more and more efficient systems by creating energy standards and mandates. The US government’s Energy Star program recommends replacing HVAC systems older than ten years. Innovations in technology and manufacturing in recent years have created systems that are much more efficient than the ones commonly available only ten years ago. If you’re considering replacing a working system simply for increased efficiency, we recommend running some of the calculations in the Choosing Efficiency in a New System section below. They will help you estimate the savings you might hope to gain with a new system and see how they are related to the replacement cost. If your system is particularly old, there’s a good chance you can realize substantial savings with an investment in a new system. When considering whether to repair or replace your central HVAC system, it is sometimes helpful to take a step back and think about why you have a temperature control system to begin with. The answer is simple — comfort. You want to be comfortable in your house, no matter what time of the day or year and in every room of your house. If your system is struggling to keep you comfortable, then it’s time for either some major repairs/updates or a wholesale replacement of your system. 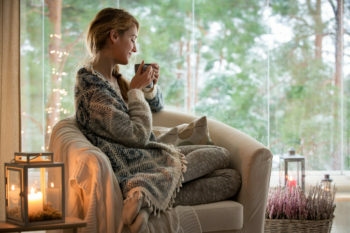 If your system isn’t able to maintain a reasonable temperature (75 in summer or 68+ in winter), your system is struggling to keep up, and you would experience greater comfort from a newer system. It’s important to note that nearly every piece of HVAC equipment under 20 years CAN be repaired, but that doesn’t mean it should be. Sometimes the decision of repair vs. replace is simpler than others. But what happens when it’s not? This chart is a handy reference to help you make a good decision. The formula we recommend is to replace when the estimated repair cost exceeds 40% of the absolute remaining value of the system. The absolute remaining value is calculated based on a zero value at 18 years (the average value for true end of life). For the chart below, the initial system value is set at $7,500. 40% is used as the repair threshold because additional repairs typically follow the initial repair and investing too much money in aged equipment rarely yields a positive financial outcome. The top row of this chart is the system age and below that the remaining value of the system. On the left side is the repair cost.